Thirsty Pilgrim: Bruxellensis Festival Returns in 2010... To Tokyo. 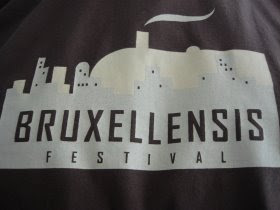 Bruxellensis Festival Returns in 2010... To Tokyo. 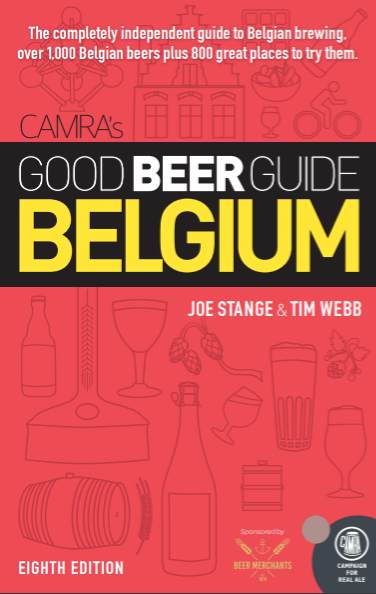 After a two-year hiatus, beer lovers can once again attend one of Belgium's best festivals. However, unless you live in Asia, it will be slightly more expensive to be there. While Bernard Leboucq and Yvan De Baets are busy finishing their new brewery in Brussels — and I'll have a report on that for you very soon — they've taken a break from organizing the Bruxellensis festival. The last one was in 2008, and the next one (as Yvan promised me) will be in 2011. This was a favorite event among aficionados because the organizing team maintained a very high standard for participation. Breweries not only had to be small, they also had to be good (in the minds of the organizers). Even those who disagreed with the standard had to admit that there was nary a bad beer to be found in that St-Gilles warehouse on that September weekend. No fake stuff, no sweet stuff, no spiced soups. No boring beers. We've all been anxiously awaiting the next one — but someone decided they couldn't wait any longer. Specifically, the Japanese importer for Brasserie de la Senne is organizing the event with permission and guidance from Bernard and Yvan. Want to go? It will be from July 17 to 19 at Sugaya, a Tokyo shop that specializes in craft beer (among other things). Jaunty hat tip to What's On in Japan for Craft Beer Lovers, possibly the most accurately named blog in the world. So: I know I have a few readers in Japan and Asia. Will any of you go? Will any of you relatively wealthy fanatics make the trip? More to the point: Will any of you pay for my ticket? Belgian beer festival in Japan, Rock in Rio in Lisbon...the world is going mad! No, that is not madness, just globalization. Lucky japaneses. I am very thanks had you write it in your Blog!! Doitashe mashite. Wish I could be there! Update: The festival is being held at the Yokohama Minato Beer Garden. (Not Sugaya) Wish you could join us! I'll have a beer for you....Gezondheid! Of Middling Soccer and Great Thirst. We're All Waiting for the Malt. What To Do If You Only Have One Day in Bamberg.